The Exponential Moving Average (EMA) Crossover is one of the top 50 crossover strategies within the Moving Average trading system. This options trading strategy is used in the options trading market. Moving average strategies are technical indicators; they provide signals for buying and selling options. These indicators provide objective buying and selling points, which removes all guesswork. Chuck Hughes uses an intricate EMA crossover strategy to calculate buying and selling points within the options trading system. 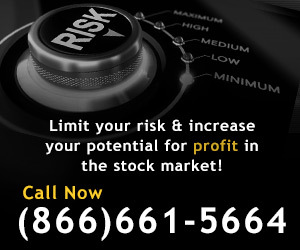 Using Chuck Hughes as your options trading expert can increase your chances of success and reduce your risk of loss. If you’re ready to learn options investing strategies, call (866) 661-5664 or Get More Information about Chuck Hughes’ exclusive moving average crossover strategies. An EMA is different than an SMA (Simple Moving Average). An EMA is similar to an SMA in most regards, except for the amount of weight that is distributed to the data. An SMA is built upon an equal distribution of weight for the entire data set. An EMA assigns a greater amount of weight to the most recent data points and less weight to the most historical data points. This is why an EMA is also called an ‘exponentially weighted moving average’. An EMA is viewed as being more accurate than an SMA by many options trading strategists because of its weight distribution. However, EMAs react more quickly to changes in price than SMAs. While the EMA strategy produces faster results, this options trading strategy can also provide false signals. Many options traders use a combination of both options trading systems to create a comprehensive options trading strategy. It can be confusing to understand the appropriate times to use an EMA or an SMA. It’s smart to rely on a professional and successful options trader when venturing into moving average crossovers. Whether you’re new to the options trading market, or an experienced trader just looking to get that edge on the options trading system, Chuck Hughes can help provide guidance. If you’re ready to start trading options using moving average crossovers, call now at (866) 661-5664 to get more information about his exclusive options trading strategies. Shorter moving averages will be faster because they are more sensitive to daily increases and decreases within the market. Conversely, longer moving averages will be slower because they are not as sensitive to daily market increases and decreases. Moving averages lag because they are indicators that look backwards instead of forwards. EMA crossovers are extremely popular options investing strategies because of their objectivity. An EMA crossover will indicate a buy signal when the short term moving average crosses above the long term average. Conversely, an EMA crossover will indicate a sell signal when a short term average crosses below a long term average. In the options trading system, there are many types of EMA crossover strategies. EMA crossover strategies provide different ways to analyze trends within the options trading market. Because MAs are lagging indicators, complex strategies are used to improve their respective lag in order to create faster indicators, while still maintaining their accuracy. The objective is to create the most reliable crossover strategy. Traders use price crossovers to identify variance in momentum. Price crossovers are a basic EMA crossover strategy used to determine buy and sell points within the options trading system. A price crossover occurs when the price of an asset travels from one side of an MA to the other. When it reaches its destination on the other side, it closes. A buy signal is indicated when the shorter MA crosses above the longer MA. This indicator is representative of an uptrend. A sell signal is indicated when the shorter MA crosses below the longer MA. This indicator is representative of a downtrend. A double EMA crossover is a calculation of both single and double EMAs. Double exponential moving average crossovers provide traders with the advantage of representing larger term trends with less lag time. This means they have a higher accuracy rate which can lead to a reduced risk of loss. Double crossovers respond more quickly to market trends than single crossovers. As such, these indicators can spot trend reversals quickly, which means this options trading strategy can lead to a higher potential for profit. By increasing the number of moving averages, a trader can create an indicator with increased accuracy. Increased accuracy can both increase potential for profit and reduce risk of loss in the options trading market. A triple EMA crossover reduces false signals and increases the ability to indicate market trends. By increasing the amount of MAs in a single calculation, the strength of the trend is able to be recognized, as well as the reversal of that trend. Calculating crossovers is difficult; especially if you decide to use a double or triple EMA crossover. It can be extremely time consuming and risky without the help of an experienced strategist. By using a crossover strategy you build yourself, you could be risking your entire trade on your ability to calculate the crossover correctly. Figuring out crossover strategy can be intimidating if you’re just getting into the options trading market. Even experienced options traders have come to Chuck Hughes searching for successful moving average crossover strategies. If you’re ready start trading options using an EMA crossover strategy, call Chuck Hughes now at (866) 661-5664 or Get More Information about Chuck Hughes’ exclusive options trading strategies. Chuck Hughes has been a successful options trader since 1986. He began trading with only $4,600. What started out as a hobby transformed into a multi-million dollar career. Within his first two years of trading options he profited over $460,000. Check out Chuck Hughes’ options trading profits. Chuck has won ​10 ​ Trading Championships- that’s more than anybody else in champion trading history. Chuck Hughes is experienced in trading options and in using complex options trading strategies. 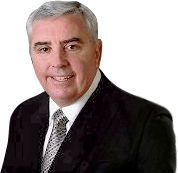 Chuck Hughes personally trades options and provides professional trading strategy services. Using Chuck Hughes’ options investing strategies and trading recommendations, your potential for profit within the options trading system can be increased and your risk for loss reduced. Why Use Chuck Hughes as Your EMA Crossover Trading Strategy? Chuck Hughes uses an intricate EMA crossover strategy to calculate buying and selling points. One of Chuck’s exponential moving average crossover strategies utilizes a 50 Day EMA and a 100 Day EMA. This means a trader should purchase a stock when it’s 50 Day EMA crosses above the 100 Day EMA. On the other hand, an investor should sell a stock either when it’s 50 Day EMA crosses below the 100 Day EMA, or when the stock price declines 15% or more after the initial purchase of the asset. By using Chuck Hughes’ EMA crossover strategies, traders can count on dependable strategic investments instead of trades based upon emotion. As part of Chuck’s investment trading strategy, you’ll never have to guess when a stock price has bottomed out in order to make a purchasing decision. Chuck's exponential moving average crossover rules protect investors and minimize losses should a stock price decline significantly. In fact, using Chuck Hughes as your options trading service is even easier than that- you don’t even have to figure out strategy. Chuck Hughes will give you trade recommendations. This means you can forego all of the stress and hassle of picking out successful trades and use Chuck’s trade recommendations. He does the work for you! Using Chuck Hughes as your options trading service can increase your chances of success and reduce your risk of loss in the options trading market. If you’re ready to learn options investing strategies from one of the best, call now at (866) 661-5664 or click below to learn more about Chuck Hughes’ exclusive options trading strategies.